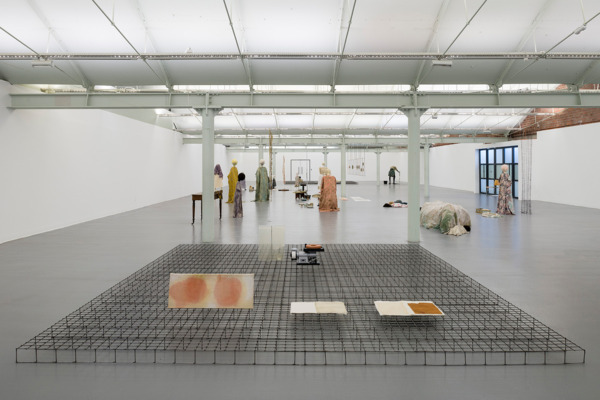 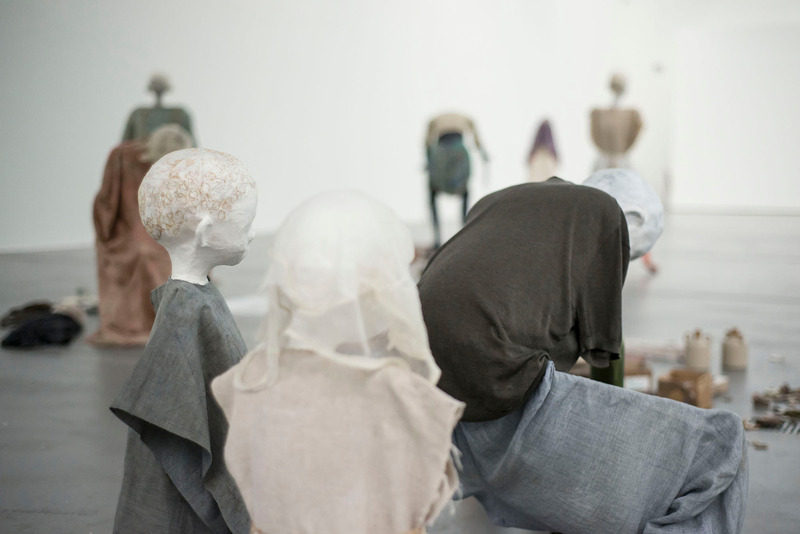 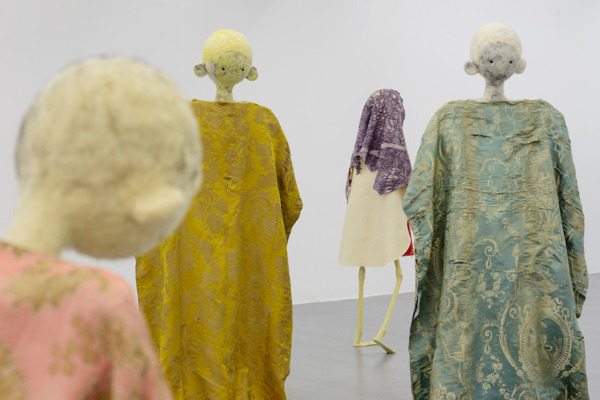 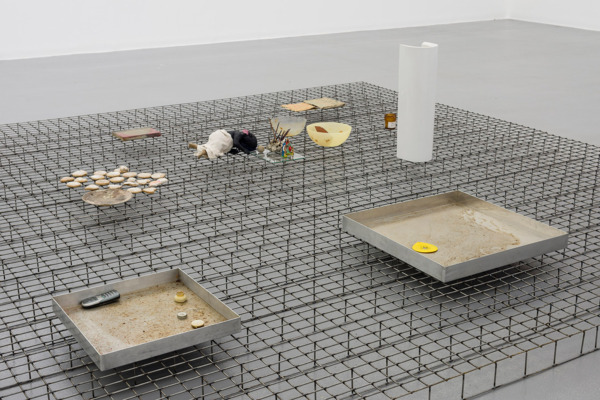 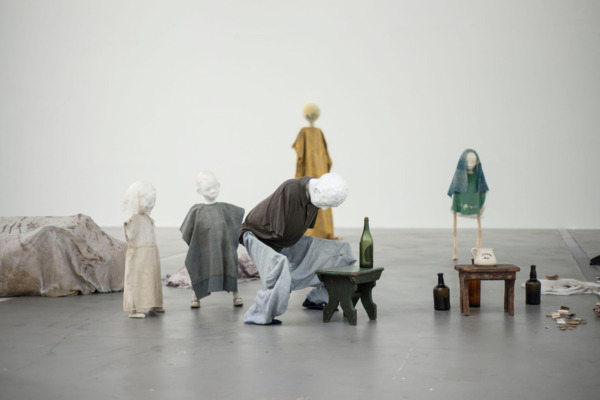 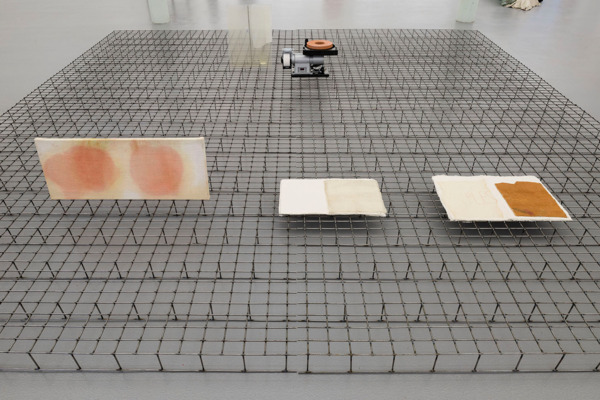 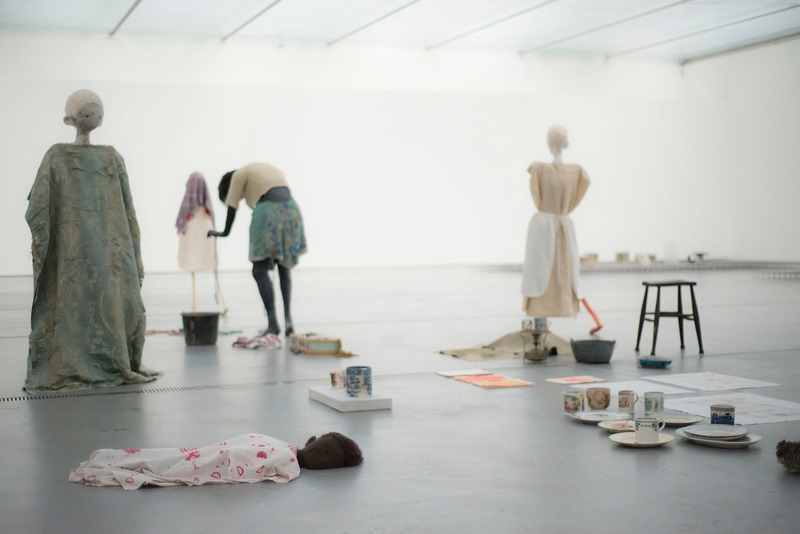 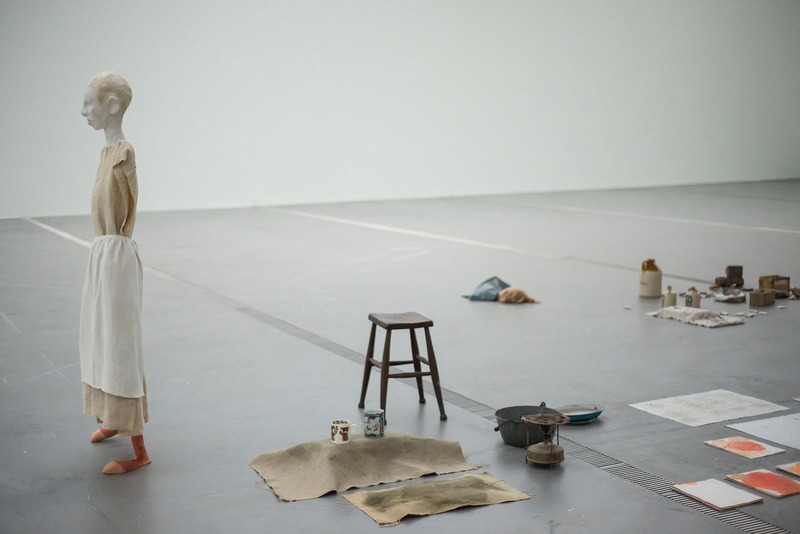 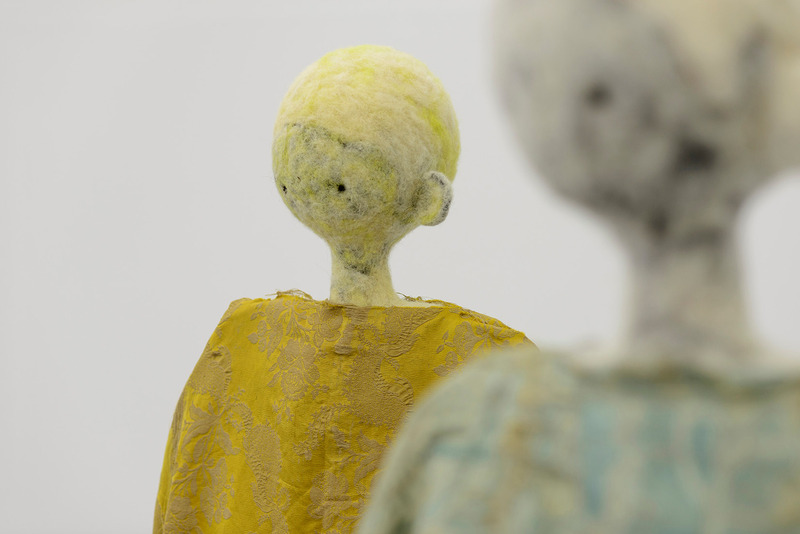 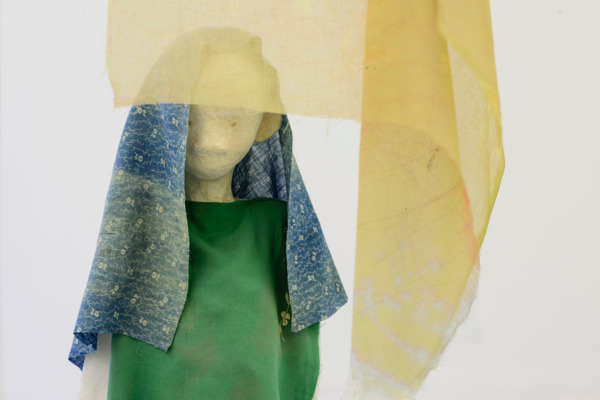 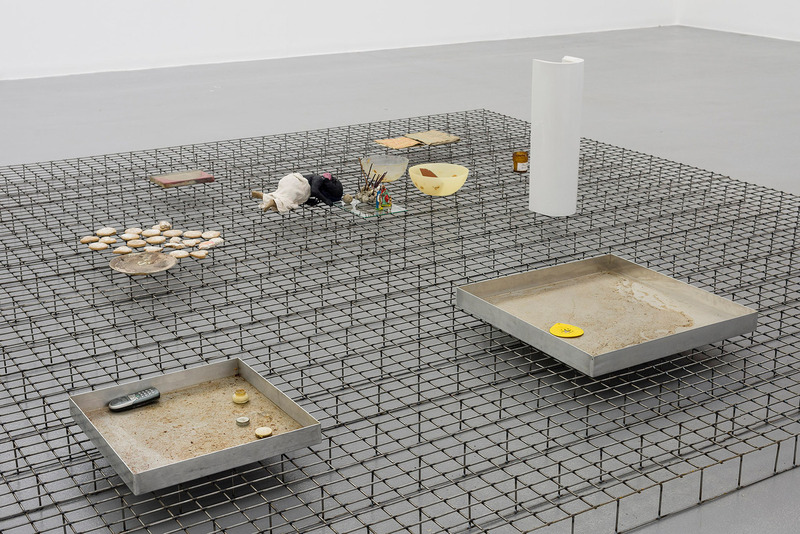 Tate Liverpool presents the largest and most comprehensive display of work to date by Turner Prize nominated artist Cathy Wilkes (b. 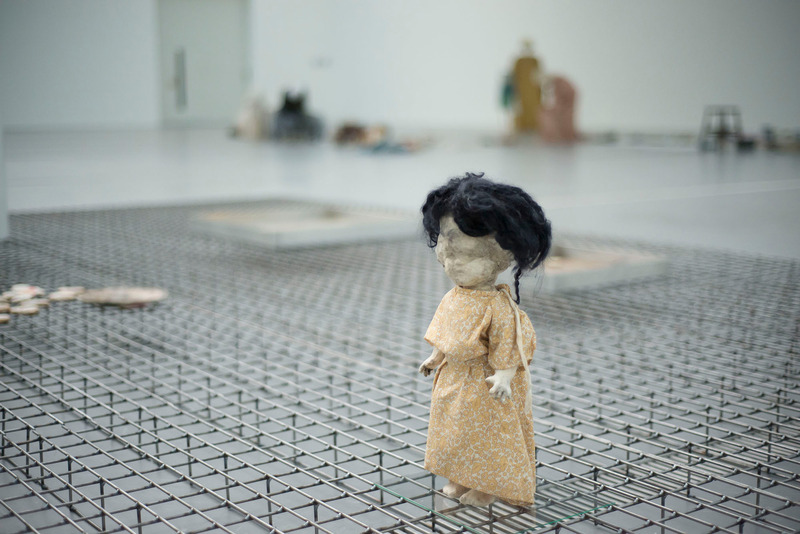 1966 Belfast). 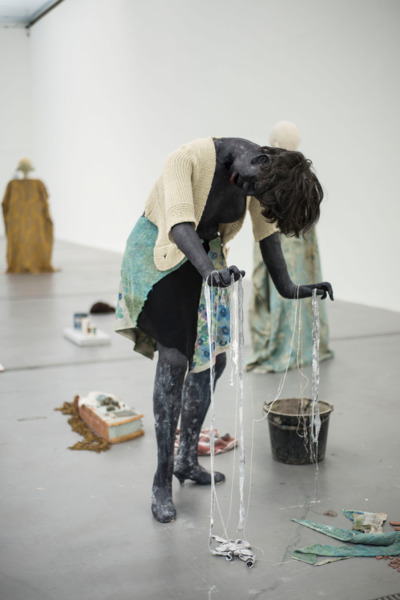 Bringing together more than a decade of the artist’s acclaimed work, this unique exhibition includes several of her large-scale sculptural installations alongside paintings, works on paper and archive materials. Best known for her imaginary environments which recall poetic visions, her installations evoke places of loss or transformation. Her work is occupied by beings, often of unspecified gender: infants, elders and animals. 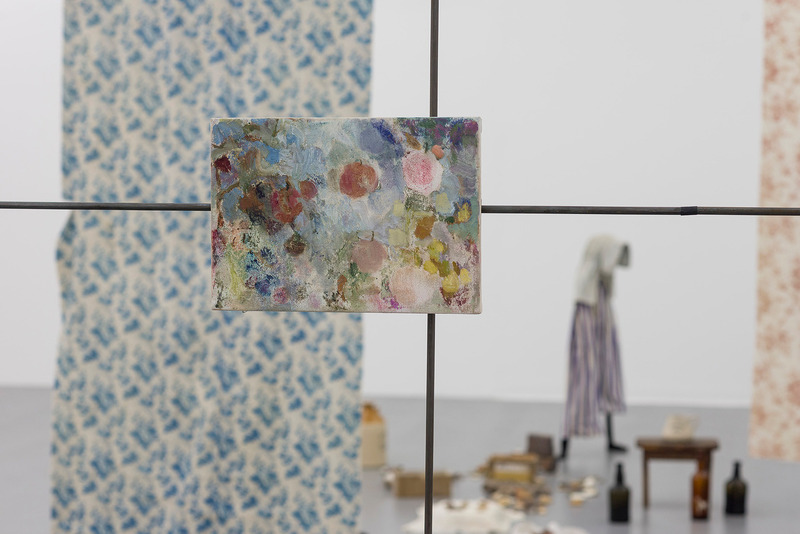 It includes collections of objects and treasured ingredients accumulated from daily life, for example baking parchments, cloths, towels, cups and plates and biscuits. 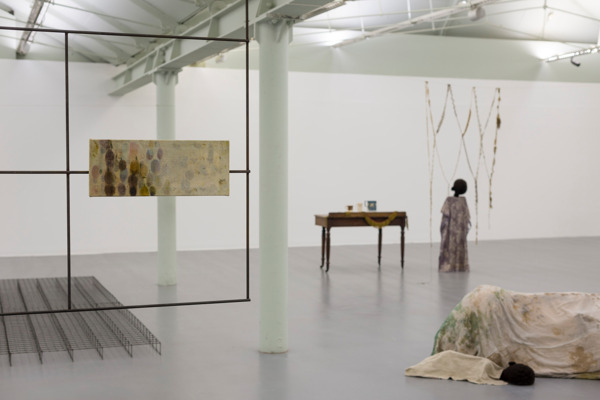 On display will be Untitled (Possil, at last) 2013 a piece that was included in The Encyclopedic Palace at the 55th Venice Biennale. Four child-like figures stand around a male figure crouched over a bottle, two are infants, one is a bride; another figure might be a shepherd. 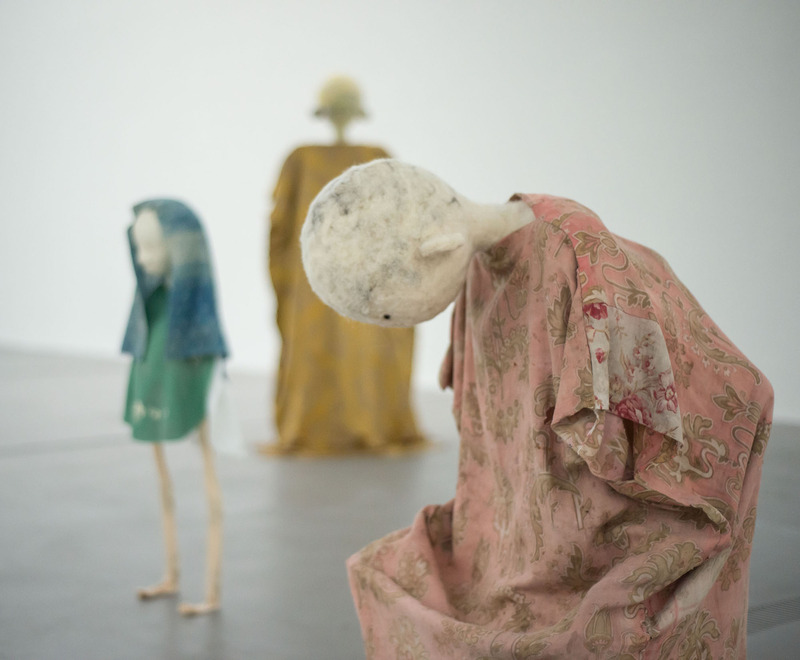 As if in a garden, a taller girl stands before an expanded field of broken pieces unearthed from the ground where Possil Pottery once stood.